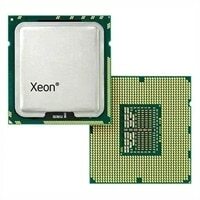 Intel Xeon E5-2609 v3 1.9 GHz Six Core ProcessorThe Intel Xeon® E5-2609 v3 1.9 GHz Six Core Processor enhances the performance and the speed of your system. Additionally, the Virtualization Technology enables migration of more environments. It supports enhanced SpeedStep® technology that allows tradeoffs to be made between performance and power consumption. Its Thermal Monitoring Technologies protect the processor package and the system from thermal failure through several thermal management features. The VT-x with Extended Page Tables (EPT) also known as Second Level Address Translation (SLAT), provides acceleration for memory intensive virtualized applications. Packed with more features, the Xeon E5-2609 v3 1.9 GHz Six Core Processor is the ideal choice for virtually all of your data demanding or standard enterprise infrastructure applications. The Intel Xeon® E5-2609 v3 1.9 GHz Six Core Processor enhances the performance and the speed of your system. Additionally, the Virtualization Technology enables migration of more environments. It supports enhanced SpeedStep® technology that allows tradeoffs to be made between performance and power consumption.